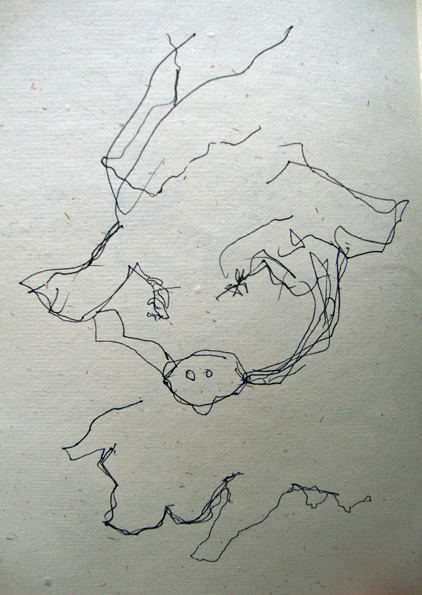 Here are the last of my scribblings of pigs down on the farm in Pontyates. Some more drawings of Arthur and Mango, two of the Mangalitza pigs; Mangalica in it’s native Hungarian, one of three breeds of curly-haired hog originally bred in Hungary. There is a third Mangalitsa, a ginger sow called Lisa, but she was too shy to come and see us. They’ve only been in Britain for about six or seven years so I was lucky to be able to see some. Arthur and Mango were very engrossed in scoffing their hay and barley at first, but became a bit friendlier. They’re pretty large beasts and sometimes jump the fence and go for a wander. Arthur got quite vocal too with a surprisingly loud, gruff voice. The Mangalitza’s legs are much bigger and stockier than those of the dainty little Berkshire piggies that also live on the farm. Nice for juicy ham! 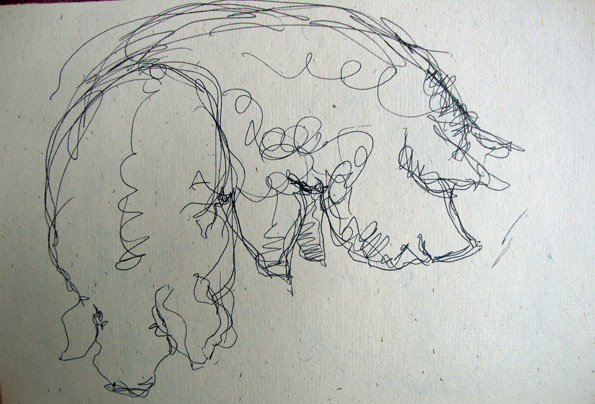 As well as doing some drypoint etchings from these scribbles, I’m also tempted to do some tiny linocuts. Thanks Rosie. I was about to teach my classes about expressive line and gestural drawing when these came through. I used some as an example, telling them your story about how you came to use this technique. 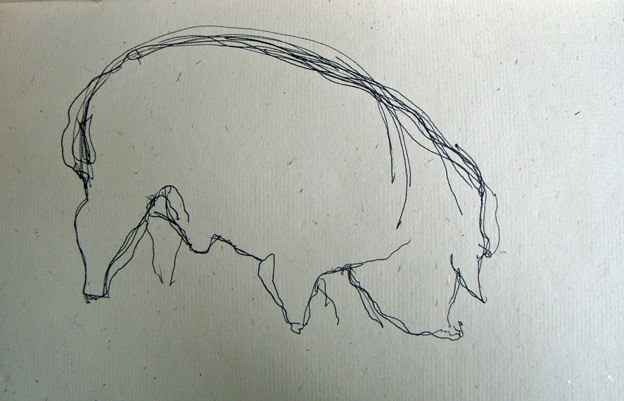 I have really enjoyed all the pig sketches. I am a huge fan of pigs.